Arnulf Rainer, ecstasy twenty-four times per second. As a tutelary figure in the history of cinema, Austrian artist Peter Kubelka revolutionised moving images with the precision of his plastic experiments and his technique of applying arithmetic and music to his compositional logic. Equivalent to an hour of projection, his eight shorts made on 35mm and 16mm film between 1954 and 2012 which constitute the body of his work remain some of the most radical in the art of XXth century film-making to this day. In 1960, his film Arnulf Rainer, commissioned by the Austrian artist himself, Peter Kubelka revealed the purest expression of this medium which he stripped down to its most basic components: light, darkness, silence and noise. The third and final opus in a series of so-called « metrical » films that kicked off with Adebar (1956-1957) and Schwechater (1957-1958), Arnulf Rainer was shot without the use of a camera or editing table and, in contrast to the two preceding experiments, the images featured no figures whatsoever. 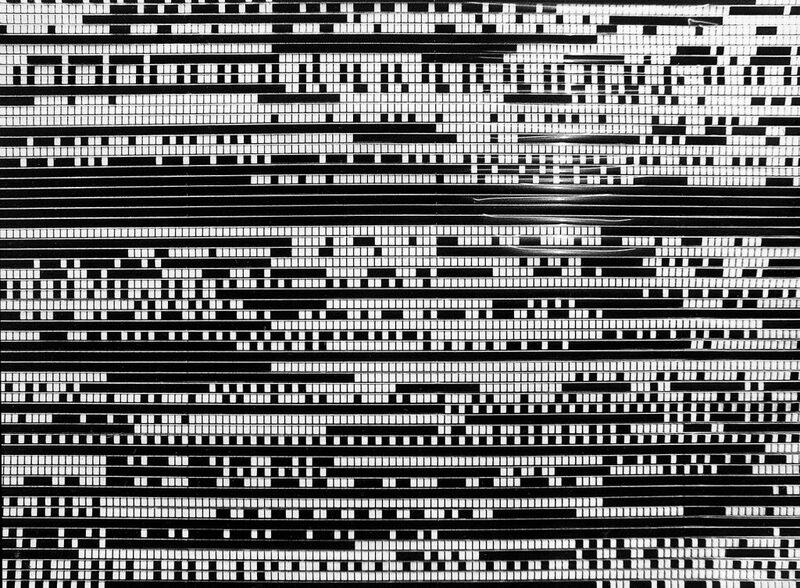 Composed solely from transparent and black 35mm frames and two soundtracks, one saturated with noise, the other untouched, this film by Kubelka is structured around a division that has deliberately been determined in advance; which subsequently means that Arnulf Rainer can be reproduced to infinity for those who wish. Translated as light, sound or silent projections, the harmony (rhythmic) and synchronicity (image and sound) of this abstract work lasting 6 minutes and 14 seconds create a complete sensorial experience through which the effects of aural and visual compression and decompression impose the extreme sensuality of a composition that is, by definition, quite rigid. By alternating pulses of white light (the entire spectrum of all colours) on the screen that shatter the audience’s nerves like flashes of lightning and that last a twenty-fourth of a second; by adding the darkness of the hall and the jerky breaks of a soundtrack oscillating between the sum of all sound frequencies (deafening white noise) and its opposite (silence), Peter Kubelka’s work creates the outline of an archaic type of cinema freed from its vocation of recording reality, the pure projection of light and shadow and an out of body experience: ecstasy twenty-four times per second. Jonathan Pouthier is curator for the film department of the Musée national d’art moderne – Centre Pompidou.